1. 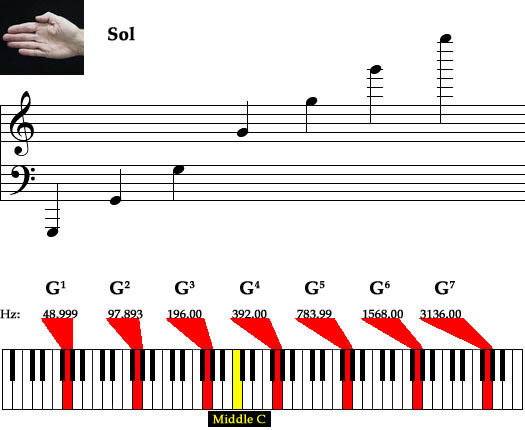 The fifth tone (dominant) of the C major scale. In solfeggio, it is called Sol. The frequencies of the audible pitches of G are notated below. 2. The note that indicates the treble clef (G clef). The line of the pitch of G is indicated in the treble clef by the lower curl in the treble clef symbol, which itself is a stylized G.